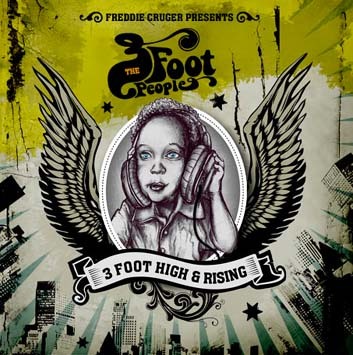 The debut album from Freddie Cruger under his new alias The 3 Foot People is entitled '3 Foot High and Rising'. Fans of his downtempo and dub reggae influenced singles on GAMM label as Red Astaire, Jugglin and Swedish Brandy will not be disappointed. A mix of jazz, hip hop and soul. Includes the single "On My Way" feat Linn. 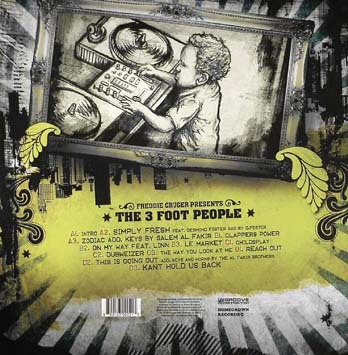 3 Foot People is a project Freddie Cruger has had in motion for many years now and will finally see the light of day on Freddie's own Homegrown imprint. Smoky, late night studio sessions have produced a collage of some of Freddie's best productions. While the album is mostly downtempo, you will also find a few uptempo tracks for the dancefloor in true Freddie Cruger spirit. 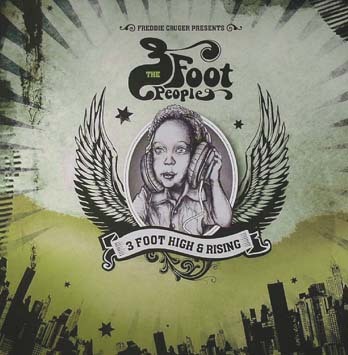 The 3 Foot People project is something that is very close to his heart, not only is it a fine display of his unstoppable love for dusty instrumental beats, it's also a tribute to his son Elijah, to whom the album title '3 Foot High and Rising' is likely to be dedicated. 12 tracks of soulful funky goodness. 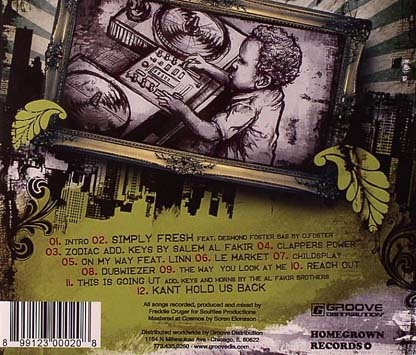 Nice cover art from fellow Swede Marcell (who also did the art for the Beatfanatic album). Out on DJ friendly double vinyl with full colour art. Released on Freddie's very own Homegrown records and distributed worldwide by Groove Distribution.